Note: The October meetup will be a week later to avoid Halloween. There was a suggestion for a topic this month - Drupal 8 Configuration Management!!! Karl will put together a short overview of things he has used to try and solve some of the common problems he has run into, but definitely bring your favorite solutions, questions, etc. If anyone has another topic they would like to discuss in addition to configuration management just let Karl know, we should have time. 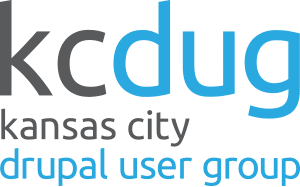 Note: The "April" meetup is a week later than normal to avoid conflicting with DrupalCon. Karl will talk about "Site Building With Drupal 8, Bricks, and ECK" this month. He is building a site using that combination right now, and it willl be a good follow up on our conversation last month on Entity Reference, Paragraphs, etc. As always we'll have plenty of time for questions and discussion around any topic anyone might be interested in. The Saint Louis Drupal Camp just announced their 2017 date. Sept 22-23, 2017, University of Missouri - Saint Louis. This month we'll have a presentation on automated continuous integration and continuous deployment (CI/CD) for Drupal. And, as always, we'll have plenty of time for Q&A and anything anyone wants to share. This month Eric Gruber is going to give a presentation on Drupal Console. As always we'll have plenty of time for open discussion and Q&A. One logistical note - The first floor of the VML office is being renovated so you can't get in the front door. Just follow the signs that will direct you to the side door. This month Carson Oldson from Code Koalas is going to give a talk on site building with the Paragraphs module. Should give us a lot of opportunity to discuss all kinds of things related to building pages and sites from components. And of course we'll have plenty of time for Q&A.